President Donald Trump announced a drastic reduction in size of two national monuments on Monday: Grand Staircase National Monument, where there are numerous dinosaur fossils, and Bears Ears National Monument, which is home to large archeological sites and is considered sacred by five regional tribes (Hopi, Navajo, Ute, Ute Mountain and Zuni). Republicans hailed the decision as a way to open land up to exploitation for mining, ranching and petroleum extraction. Native American groups and environmentalists are threatening to sue to block the decision. “Some people think that the natural resources should be controlled by a small handful of very distant bureaucrats located in Washington. And guess what, they’re wrong.” Mr. Trump said. Bears Ears (2,000 squared miles) would lose over 70% of its surface. It shelters 100,000 ceremonial sites, primitive homes built on the cliffs, rock art and artifacts. Reaction was mixed and cut also across party lines. Senator of Utah Mike Lee celebrated Trump’s decision and said everyone wins with it. “The federal government controls two-thirds of Utah’s land, and the state’s leading politicians have long pushed for more local control of public lands. He’s been sympathetic to the fact that we’ve been mistreated, and I’m grateful that he is willing to correct it.” said Lee. But not everyone was happy with the decision. 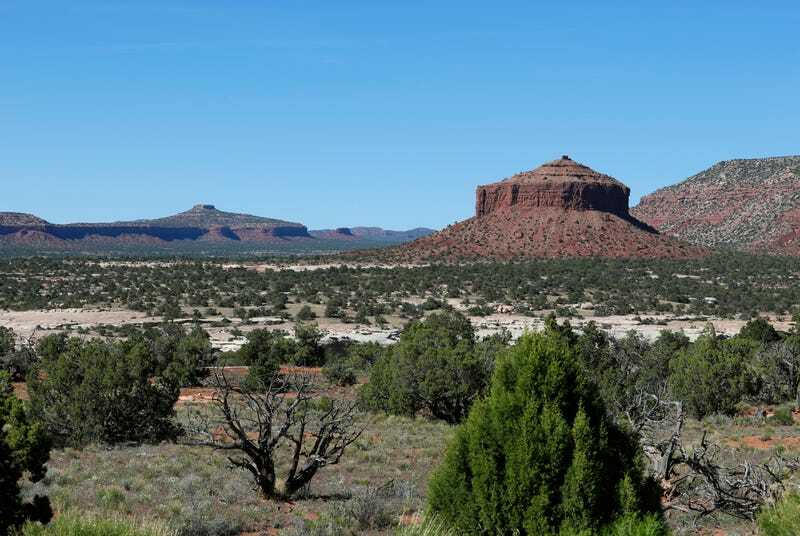 Gene Karpinski, President of the League of Conservation Voters, a non-profit organization said, “President Trump and [Interior] Secretary Zinke’s move to revoke Bears Ears and Grand Staircase-Escalante national monuments is the largest attack on parks and public lands in our nation’s history. Tom Wathens, who is responsible of conservation projects at The Pew Charitable Trusts spoke with Project Earth about the decision. “We are extremely disappointed in the announcement today that President Trump will drastically reduce the size of the Bears Ears and the Grand Staircase-Escalante national monuments in Utah, thereby eliminating vital protection for the important cultural and historic artifacts and special natural features in these two iconic places,” Wathens said. Two democratic Presidents established both national monuments in southern Utah under the Antiquities Act of 1906. Bill Clinton created the ‘Grand Staircase-Escalante’ at almost 3,000 square-miles and Barack Obama established Bears Ears in December 2016. In both cases, some state groups and businessmen said that the introduced environmental protections were weakening economic growth in these communities.